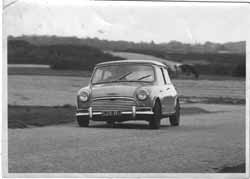 In August or September 1965 at Castle Combe circuit Neville Trickett was approached by fellow racer and budding entrepreneur Geoff Thomas to produce a variant on the Mini Cooper that had never been seen before. . . . . . . . This chance meeting was the birth of the Minisprint. Having seen Neville’s beautifully prepared lightweight racer, a racing Mini that incorporated many revolutionary features such as a twin point distributor that effectively ran at ½ speed to overcome point float at high RPM, a roller bearing cam shaft of Neville's own design and most surprisingly weighing less than 9 cwt. Geoff realised that Neville, someone he had never met before, may just be the person who could turn the Minisprint from a slightly crazy idea into a fully working car. Geoff had heard about customizing outfits in the States who would take a standard saloon car and section it to reduce the roof line, reduce weight and improve the looks, the problem was that Geoff had absolutely no idea at all how to do this. After a ridiculously brief discussion the deal was done and Neville agreed to work with Geoff on their Minisprint project. Taking space in Westminster Garage in Parkstone owned by Peter Barnes, the project began in earnest. 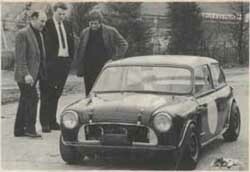 A second hand 850 Mini VPR 470 was purchased, this was to become Neville's first victim. Neville’s brilliance was amply demonstrated by his first attempt as before long he had found an ingenious way of removing a section of metal from the window line and another from the body line to reduce the overall height of the car by around 3” or 75mm in new money. Combined with this, the entire shell had all its vertical seams removed, giving the new car an aerodynamic look that instantly made it far more aesthetically pleasing than the standard car. VPR was finished in a two tone Mini Cooper style paint job and was announced to an unsuspecting world. Upon its release to the press & public VPR was met with almost universal acclaim. 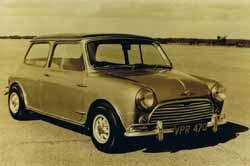 For years people had wondered when someone was going to develop a Mini that superseded the BMC original and finally someone had achieved this. And the most famous Minisprint of them all “The Minisprint Racer”. Although designed as an ultra light Sports Saloon the MSR was always doomed to be uncompetitive as by 1966 all, or should that be practically all. Saloon car classes specified that the body silhouette of any competing car should remain the same as standard. This put the Minisprint Racer in the ultra competitive GT class in which it was simply outclassed, Paul Emery’s Emery GT being a good example of the daunting competition. Much as they would have liked to have done so, Geoff & Neville realised they were never going to be able to compete with such machinery. Geoff however believed that this wasn’t something to be too worried about. In the 1964 season Harry Ratcliffe of BRT had demonstrated with his Cooper Buick that when it came to low volume specialist cars, there was no such thing as bad publicity. The Cooper Buick had been a bit of a disaster from the start. 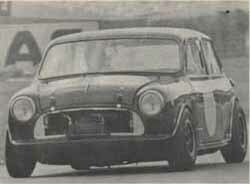 A Mini with a 3.5 litre Buick V8 in the boot driving the front wheels through a special prop shaft and converted E type Jag axle in the front. Harry described driving it at speed as being like trying to throw a sledge hammer shaft first. The strange thing was that the motoring press loved it. The Cooper Buick was featured in almost every major motoring publication of 1964 bringing some much needed publicity to the, at that time, little known northern outfit. 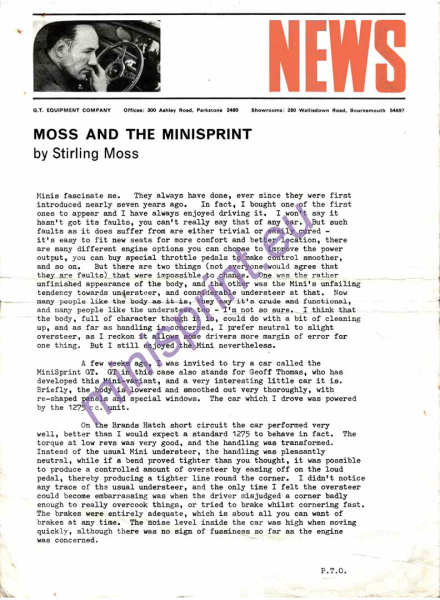 The Minisprint racer was completed and released to the press with much fanfare. 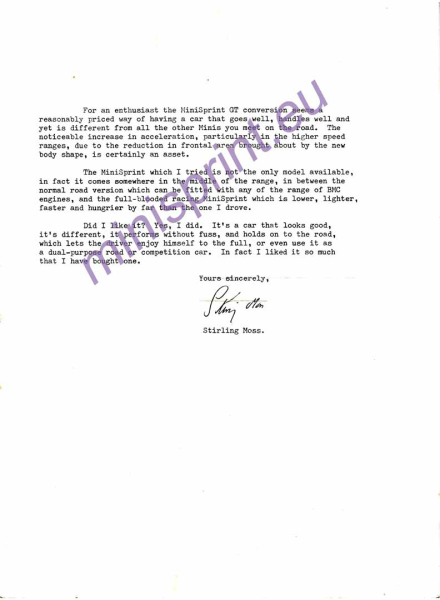 As already mentioned, initial interest in the project included an order for 50 Minisprints from Rob Walker of the Johnny Walker Whisky family who was coincidentally the most successful private entrants in the history of formula one being the first and last privateer to win a GP. However, as the initial euphoria was subsiding it was realised that without donor cars or new shells to convert some serious thought would need to be given to the project. In the event in May1966 the operation was once again moved, this time from Wallisdown to a more permanent home at Corsley garage near Warminster in Wiltshire. Corsley garage was at this time owned by Rob Walker.